I returned to a place that I swore off for the rest of the year as the bite had been slow and very busy. With a heavy wind in the forecast , It was one of the places I thought that I would be sheltered though. The fishing was as expected. It was slow but there were a few pickers in the mix if you hole hopped enough. With one decent fish per hole in the right area, it took a while for dinner to find its way into the bucket. The majority of the fish were found cruising around open water suspended quite a ways from any weeds. Very backwards from a normal bite here. With late ice in the air, you can’t rule out any of the usual locations. The fish were also particular with what they wanted. They liked a small gold jig and bubblegum plastic with one to two maggots stacked on top. From hole to hole the cadence also changed. Some liked it pounding while others preferred deadsticking. 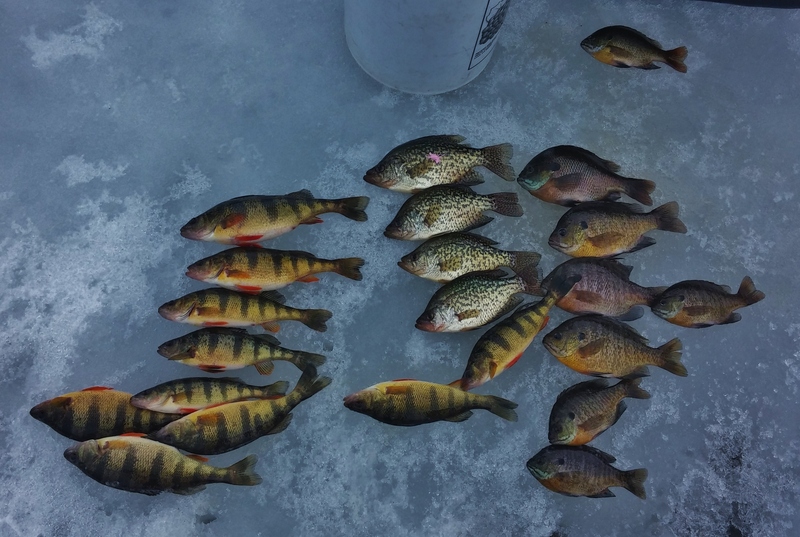 It was a frustrating day but I ended up with a nice mess of fish to take home! 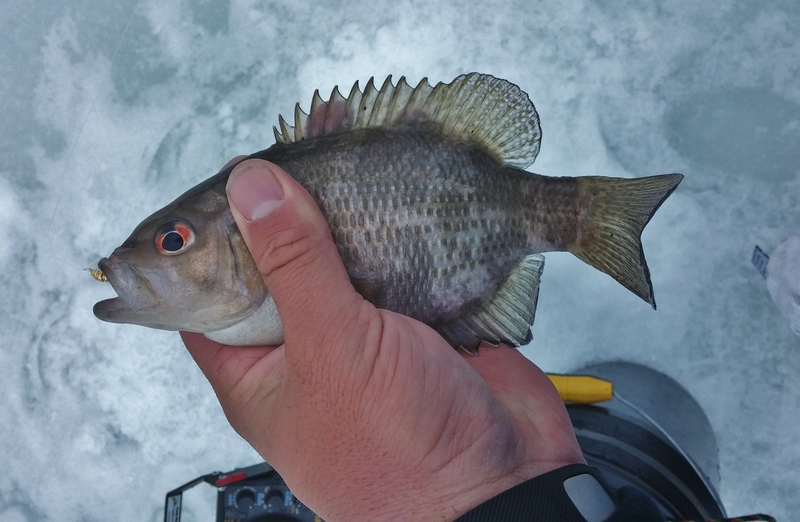 Previous Post3-13-15 – Crappie Evening BiteNext Post1-5-16 – And We’re Back!! !